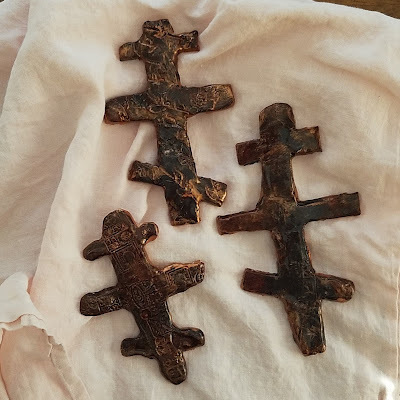 The Trio made these great coppery clay crosses at Vacation Church School. I really love how they came out and cannot wait to hang them up. I'm planning to put them in the playroom... I really think that the wall color (Rainy Day by Valspar) will make the crosses really pop!